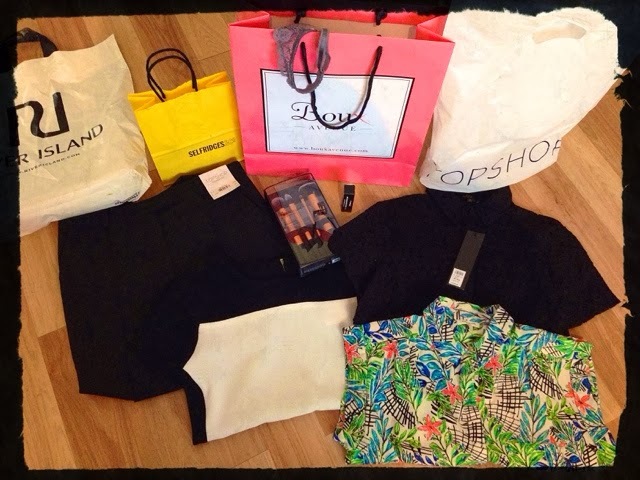 On Saturday me and my hubby had a day out shopping at the Trafford Centre (we live dangerously close to the Trafford Centre!!) and I made quite a few purchases! Oops! I really needed some new clothes for work and I spotted some smart black 'cigarette' trousers from Topshop which I picked up for only £22. These will be great for work when the weather improves. I'll get a nice pair of flats or loafers to go with them. I also got a smart monochrome top from Dorothy Perkins for £24 which will look great with black trousers or a skirt for work. 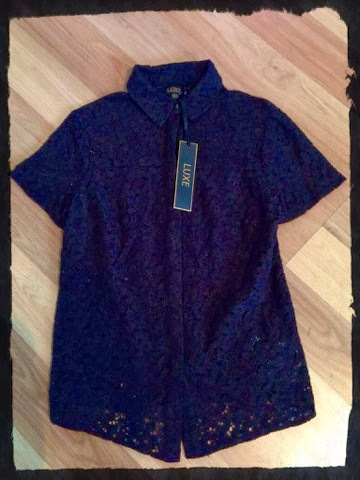 Whilst in DP's I saw this lovely black lace shirt by the concession brand LUXE for £28. 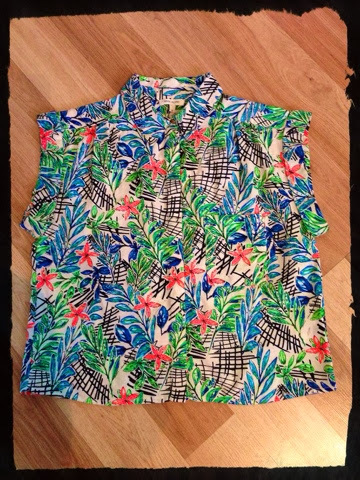 I thought this might be nice for work too, but when I tried it on I actually really like it for casual wear too....it looks great with a nice glitzy collar necklace and skinny jeans...ideal for nipping out for a pub lunch! 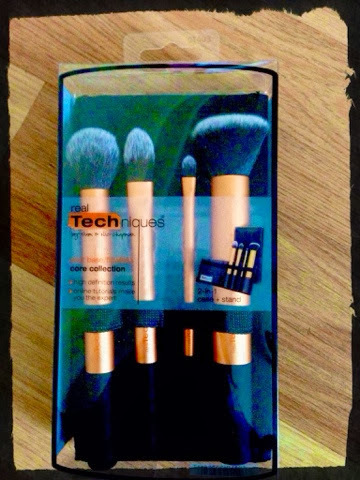 I got these Real Techniques 'Core Collection' make up brushes with my Boots card points, they are £21.99 to buy so it was great to feel like I was getting them for free! I bought the starter kit a couple of weeks ago and I'm really liking the quality of these brushes so far. 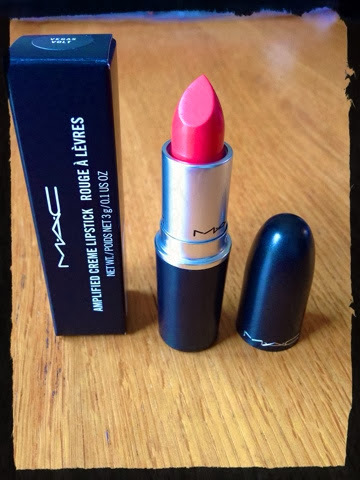 I'm loving my red MAC lipstick I bought a few weeks ago so I thought I'd treat myself to another one! I wanted a nice coral colour (to go with my new River Island shirt...obviously!) 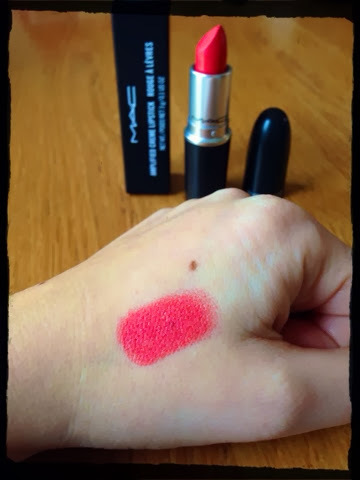 and after trying a few I decided on this Amplified Creme Lipstick in colour Vegas Volt for £15. I absolutely love this colour! It's a lovely vibrant coral and not too orange. I can see me getting a lot of use out of this through Spring and Summer. I also bought a gorgeous new underwear set from Boux Avenue...but I won't post a photo of that as I don't know you all well enough yet to start showing you my bra and knickers! Haha! What do you think of my purchases? What have you been buying this week? I'm loving this haul! :) I especially love the fabulous shirt! !